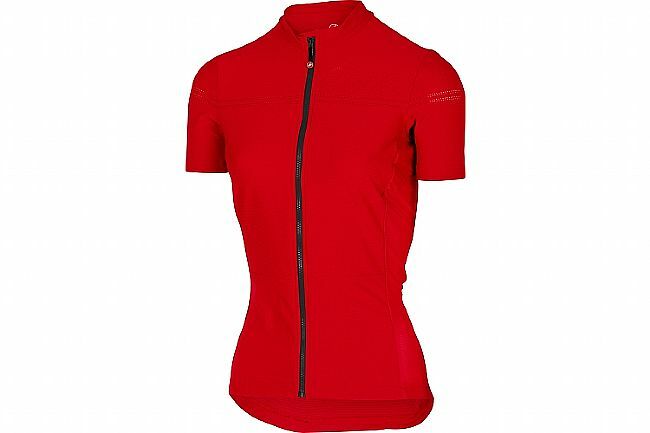 The Castelli Women's Promessa 2 Jersey is made from Stratus Plus knit fabric to actively wick moisture from the skin. Mesh panels at the rear neck and underarms add even more ventilation to the half-zip design, and the three rear pockets feature an additional zippered essentials pocket for a credit card or keys. Elastic waist. Claimed weight is 140 g (size small).